Following a fast-paced weekend of hacking with comms APIs, the winners are ready to present their applications at Enterprise Connect. 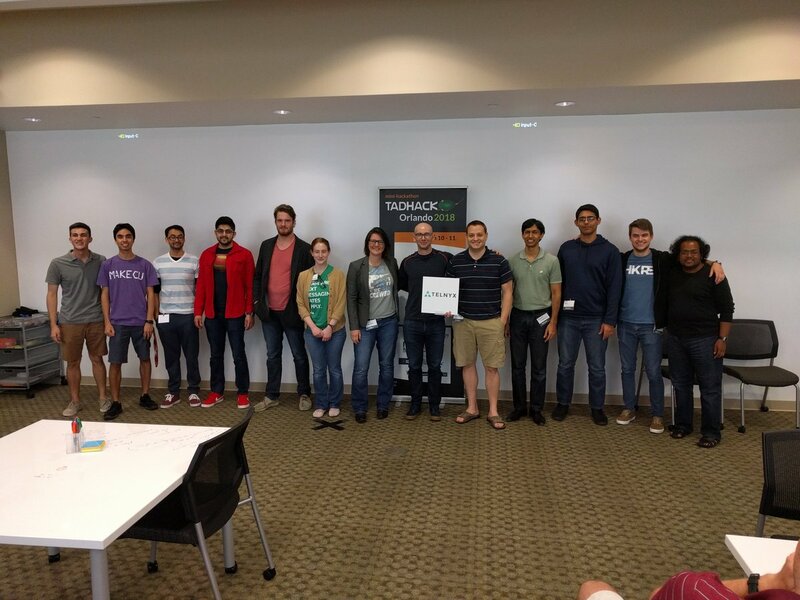 The second-annual TADHack-mini Orlando has is all wrapped up, but the Enterprise Connect fun is yet to begin. Today the winners will present their communications-enabled applications in the 3:15 p.m. session, "Hackathon Spotlight: Programmable Communications is for Everyone." Speaking as someone who was there to see all the hackers present their creations yesterday, this is one Enterprise Connect session you won't want to miss. 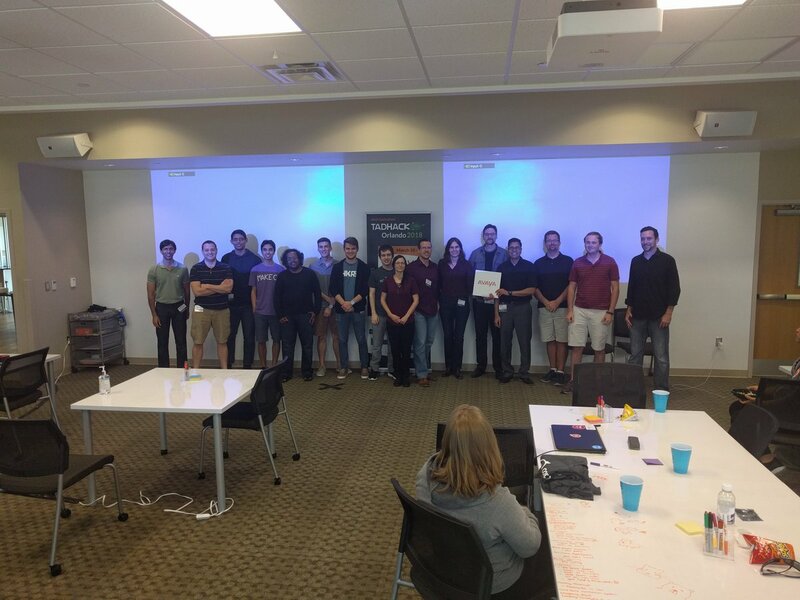 On Saturday, some 68 developers -- students and seasoned professionals alike -- gathered at Valencia College in Orlando, Fla., along with remote participants, to form teams, identify problems, and use communications APIs and their coding abilities to bring their creations to life. In total, 14 hacks were presented for judging on Sunday afternoon, with each developer or team demoing their application in hopes of getting a piece of the $4,000 prize pot. 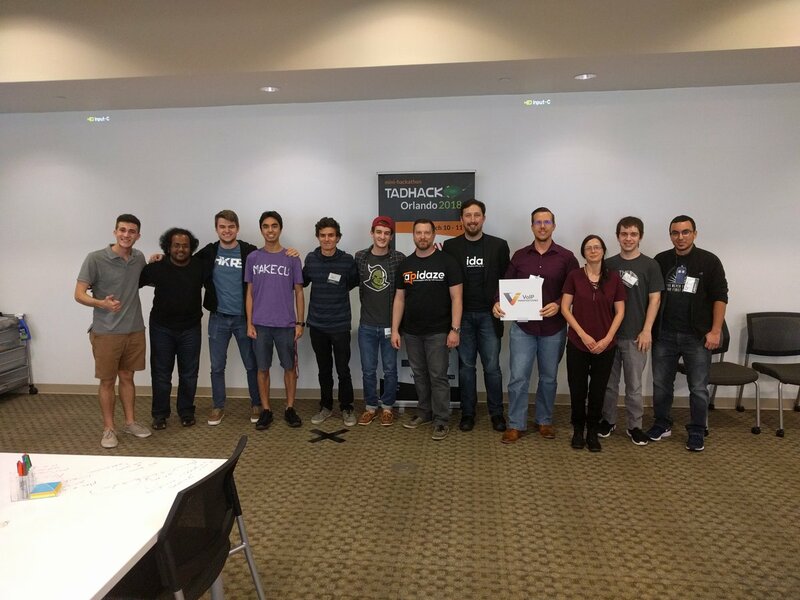 Following the presentations, TADHack-mini Orlando sponsors -- Avaya, Flowroute, Telnyx, and VoIP Innovations (along with mentor/partner Code for Orlando) -- gathered to evaluate the submissions and pick their winners. One sponsor, Avaya, was so impressed with the creations that it decided to add additional prizes -- two $1,000 gift cards -- bringing the prize pot up to $6,000. Vote with Me -- With this real-time, multimedia voting application, a presenter can ask his or her audience a question and audience members can text their answers to a phone number using emojis or text. Additionally, audience members can leverage their smartphone's gyroscope by downloading the Arrow IoT application, allowing them to vote for something by waving/rotating their mobile phone (like at an auction). Results are tallied in real time and displayed in a pie chart that is continuously refreshed as new votes come in. Team members Justin Haefner (last year's largest prize winner), Koushik Chatterjee, and Thiago Pereira Cordeiro used technologies from Telnyx, Avaya Zang, and Avaya/Arrow IoT for their hack. The team took home a $500 prize from Telnyx and one of the $1,000 gift cards from Avaya. Haefner will also be presenting this year, in the Tuesday afternoon session, "Why You Should Embrace the API Movement." Holdr -- Developed by team members Hunter Henry, Travis Konarik, and Mathew Tanner using Avaya Zang technology, Holdr is an application aimed at taking the frustration out of waiting on hold for customer service. Callers are given the options of selecting the type of music they want to listen to or playing a game of trivia using the dial pad. The team took home one of the $1,000 gift cards from sponsor Avaya. Ghosted -- Team members Steffen Camarato, Bruno Harger Alves, Vikki Horn, and Nicolas Jaramillo created a dating application aimed at solving one of the problems often encountered in modern data apps -- anonymity. The app leverages resources from VoIP Innovations, Flowroute, Avaya Zang, and Telnyx to mask phone numbers while still allowing people looking for love to communicate with each other via SMS, MMS, and voice. If at any point the love connection just isn't there, users can "ghost" their connections, eliminating the worry that comes with people not handling rejection well. The team earned prizes from three of the sponsors: a $200 prize from VoIP Innovations, $500 from Flowroute, and $500 from Avaya. Ciphertext -- Created by team members Tim Christovich, Jeremiah Lantzer, Muntaser Jems Syed, and Chris Woodle, Ciphertext is a mobile application enabling smart-lock users to control and share access with trusted friends. Via the app, which leverages APIs from all four sponsors, users can share access to smart locks via an SMS-delivered one-time-use PIN, an MMS-delivered QR code, or facial recognition. Additionally, if someone attempts and fails to break into a home/locker, the app will notify the user of an invalid access attempt complete with a photo of that person. This hack earned recognition from all four sponsors: $400 prize from VoIP Innovations, $500 prize from Flowroute, $300 prize from Telnyx, and $500 prize from Avaya. Telephone Debating on the Go -- This solution is geared toward the argumentative side in all of us. Using technologies from Telnyx and Avaya, team members Ashu Shrestha, Matthew Roe, Tiffany Fabianac, Hemad Fakoor, and Cole Dylewski created an application that lets you debate any topic with people on a conference bridge. This hack earned the $200 prize from Telnyx. Polls IO -- Powered by Apidaze/VoIP Innovations, team members Conner Luzier, Paul Wood, and Giancarlos Toro created this application to allow legislators and news organizations to more easily get feedback via SMS polling. The team took home the $400 prize from VoIP Innovations, and earned recognition from Code for Orlando for potential community impact. Lifeline -- Team members Will Gualtieri, Tom Harden, Jesse Wu, Eric Eisenberg, and Alicia Chau created a program that lets users contact emergency services and family members simultaneously by pressing a "Get Help" button in times of crisis or danger. The hack earned recognition from Code for Orlando for creating an application that can improve community safety. Cards Against Copyright -- Built using the Flowroute SMS API, this hack is a mobile version of the popular game Cards Against Humanity -- no trademarked cards required. The service pairs up three players who interact via text to select humorous responses to randomly generated prompts. As team members Lissette Ramos, Carlos Barea, and Guillermo Castaneda Echegray explained in their pitch, the game ends when a player scores five points or if they text "RAGEQUIT" out of frustration, at which point the player currently in the lead wins the game. Visual Voicemail -- Bekir Onur Bozturk and Baris Erbil of Garanti Bank created a visual voicemail service using Avaya Zang technology, aimed at people with hearing disabilities or noisy scenarios where people can't easily listen to voicemails. 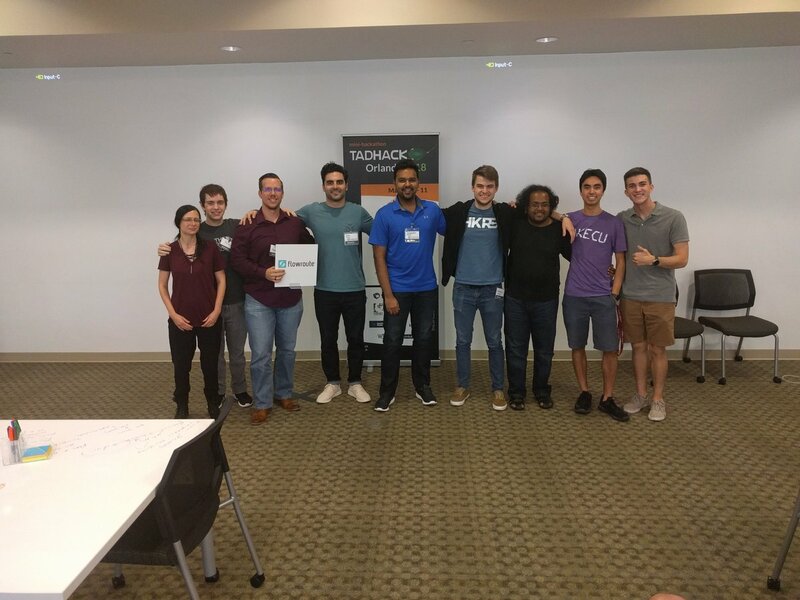 Pathfinder -- Leveraging Flowroute and Avaya Zang technologies, Valencia College students Deven Lin and Jesse Rios created a long-distance Rock, Paper, Scissors game played through SMS that uses a server to determine the winner. SMS/Voice Appointment System -- Created by Eyuel Taddese, who flew in from Ethiopia, this application uses Flowroute and Avaya Zang technologies to provide a directory system allowing users to make appointments using SMS so they can avoid waiting on hold. Running Memoir -- Hackathon newcomer Nathalia Bailey worked with sponsors Telnyx and VoIP Innovations to create a concept for transcribing long-form voice on-the-go, so users can capture their thoughts while driving, for example. While the app wasn't completed this weekend, Nathalia indicated the experience gave her a solid go-forward strategy and the opportunity to familiarize herself with the Google Cloud Speech API. Third-Party Verification System -- Created by Myles McNamara using Plivo, this application is aimed at giving call centers the ability to update their third-party verification prompts on the fly rather than using pre-existing archaic systems. Emergency Notification System -- Created by Utku Yavuz (a 2017 winner and the sole 2018 remote presenter, participating from Istanbul, Turkey), this application is geared toward solving the problem of alerting critical personnel to emergency scenarios that may involve infrastructure failure. It leverages Flowroute's SMS API.